Yesterday I shared with you the first half of 5 Ways to S-t-r-e-t-c-h a Budget. If you haven’t read the first half, I encourage you to do so as it contains the foundation of our frugal living. In these tough economic times, it’s hard to find ways to make a small budget work, especially if you have a large family and are living on a single income. These tips should help. Appliances – Finding good deals on appliances is admittedly harder than saving money on other items, but it can be done! Our first action is to pray about it. 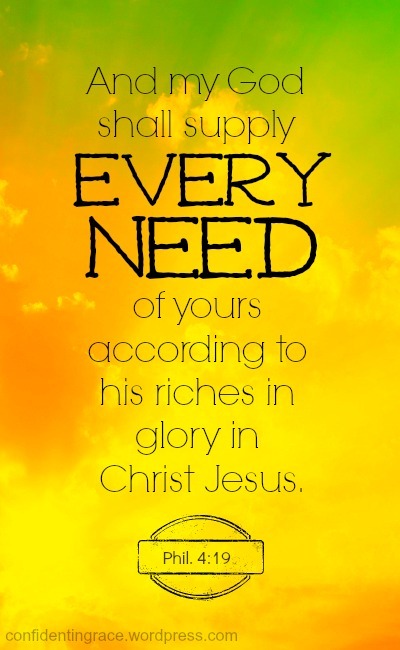 Remember, the Lord promises to provide for our needs. Our favorite money-saving techniques when buying gently used appliances are to look at garage sales, ask friends and family to be on the lookout for us, check craigslist, buy scratch and dent, and so forth. Vehicles – We have never had a car payment, ever. When we realize that it’s time for a new (to us) vehicle, we start praying! Sensing a theme yet? 🙂 We know we cannot afford a car payment while attempting to pay down student loans, so we ask God to send us a vehicle that will meet our needs as well as our budget. Praise the Lord, He has always provided the vehicles we needed, sometimes even at no cost to us, including the necessary switch to a minivan before the birth of our twins! Then, we are often able to pass on the blessing by giving our old vehicle to someone else in need. For necessary car repairs, we also pray. My husband does whatever he can himself, but if it’s a major repair, we usually have to ask for help. We’ve been blessed with some mechanics in the family, but when they are busy we have also turned to church family or friends. If you know someone mechanically minded, you could even trade services – offer to babysit, make a meal, or some other skill you or your husband have! Furniture – In our home, you will not find new furniture. It’s a luxury we cannot afford, although I’ll admit I’ve been tempted at times! The majority of our furniture has come from garage sales, hand-me-downs, Goodwill, Craigslist, and so forth. We often pray for furniture needs as well, especially when we moved last year and our twins needed to graduate to full-sized beds and dressers of their own. God provided a set of bunkbeds, a loft bed, a few dressers, a desk, and more – most of which came from one garage sale. We had looked at loft beds online for our daughter’s room since it was going to be quite small, but they were very pricey. We prayed about it and just didn’t feel peaceful about spending that much money on a want. That very weekend, God provided via the garage sale where we found a white loft bed with matching shelves and dresser – all for $50! They wanted to get rid of it so badly, they even threw in an extra desk. Praise the Lord! If we had not been willing to wait, we would have unnecessarily spent well over $400. I also shopped a lot of garage sales, but my favorite place to shop was the nearest second-hand baby store, called Once Upon a Child. 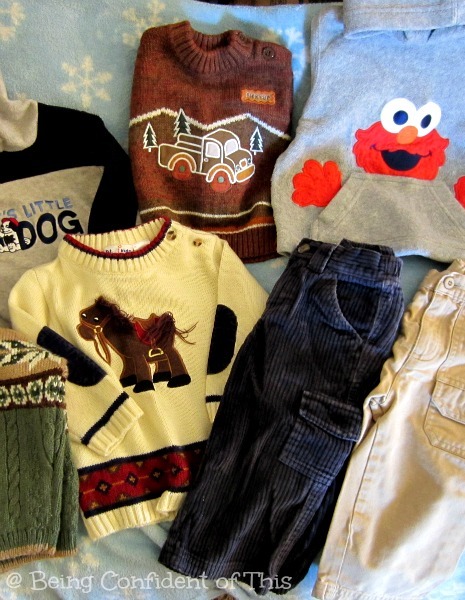 Not only are the gently used items half the price of a new item, but also outgrown baby clothing and items can be traded in for cash or store credit. If you don’t have one in your area, check for another baby thrift store. E-bay was another source of gently used items that I utilized. Last but not least, I often swapped items with ladies at church. 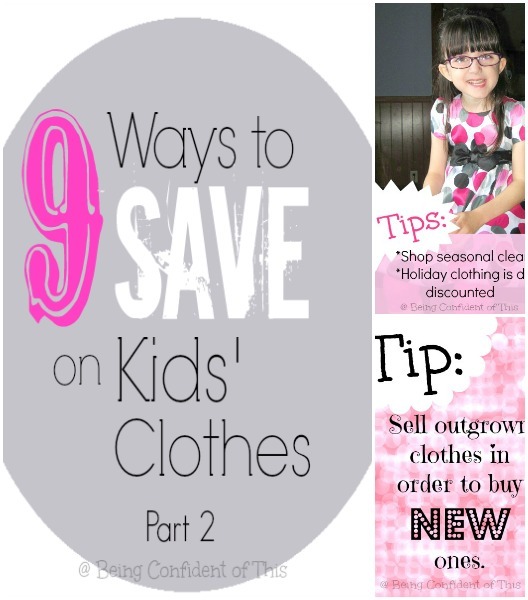 For more ideas on how to save in the baby area, read 9 Ways to Save on Kids’ Clothes. Vacations – We do splurge a little in this area (at least what we call splurging). 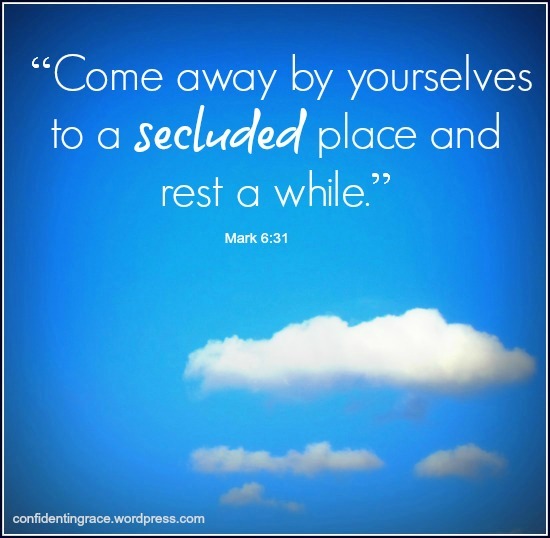 God has always provided a way for us to vacation when needed. Now that my husband ministers full-time, vacations are becoming much more of an actual need than a want, and as the saver in the family, I’m learning to see them that way. 🙂 However, the funding isn’t always available, even for a “cheap” vacation like camping. In this case, we have vacationed at relatives’ homes, we have swapped houses, and we have even found some ministries for pastor’s families who help provide lodging. If you are a family in full-time ministry in desperate need of rejuvenation, please visit this site: http://www.lawrencewilson.com/free-retreats-vacations-pastors/ . Utilities – You can only stretch this budget so far since heat and electricity are necessities (in this country anyway). However, setting the thermostat at 66 or 67 in the winter months and 75 or 76 in the summer months saves quite a bit of money. If you can’t go that far, even a couple of degrees can make a difference. Consider rewarding your children for turning off unnecessary lights or appliances in the home to motivate them to keep utility costs to a minimum. Additionally, we utilize the budget-billing program to keep our monthly costs even, which is easier to budget for. Consider investing in energy efficient appliances, but only if you have the finances to. 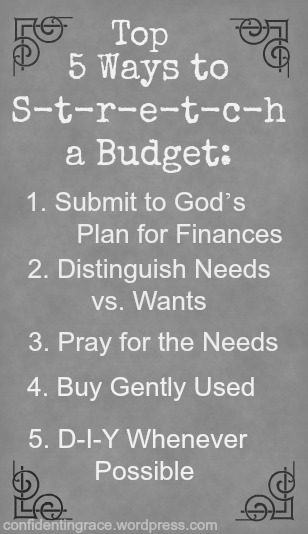 Again, if your budget is lacking, pray about it. If you have already tried to d-i-y and it just isn’t working, why not trade services to save money on the things you need help with? A few years ago, I promised my husband I would never again ask him to lay laminate wood flooring after we sold our previous home. He was miserable doing it and encountered much difficulty, even with the help of my brother-in-law! But we can barter with friends next time we need new flooring. So that’s how we live frugally to achieve our financial goals. After 14 years of marriage, my husband has learned to appreciate my frugal nature, and I have learned to allow him to balance it out. Sometimes it’s nice to have the freedom to buy something new, or something that is a want rather than a need. I’m thankful for God’s wisdom in the mate He chose for me! I’m sure I missed something, but I hope these ideas have helped you find areas in which you can stretch your budget, too! Even if you currently have a budget with a little room to spare, why not consider cutting back in just one area so that you can support global missions or feed a hungry child? When looking around our home, I can see there are things that we could live without even today, so I’m challenging myself here, too. Remember that as with any changes in life, learning to live more frugally is a work in progress. Even small steps can lead to success! Have a great budget-stretching tip? Share with us in the comments! Growing up an MK (missionary kid) taught me many life lessons. I’ve seen what it is to truly be in need. I know in many areas of the world, children often go hungry and families sleep on the bare dirt floors of a thatched jungle hut. 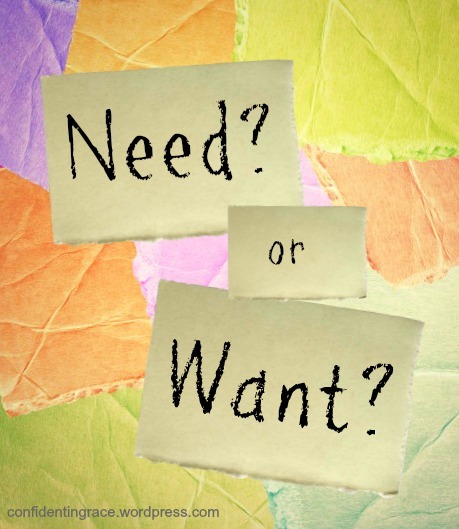 I’ve witnessed firsthand the difference between needs (for survival) and wants (for pleasure). I’ve also seen our Father God provide for our family in some amazing ways – money for shoes sent from another state, postmarked before we even prayed for it! So, when my husband and I first joined our lives together, it’s not surprising that some of our first arguments were over money – how to spend it. 🙂 I was very reluctant to spend our finances on anything I did not deem a need and my husband was more laid-back in his approach to finances. However, a few short months later, we found ourselves expecting our first child and my husband without a job. During that time of zero income, I forgot those missionary kid lessons. I forgot that when we have needs, we turn to our Heavenly Father for help. 25 “For this reason I say to you, do not be worried about your life, as to what you will eat or what you will drink; nor for your body, as to what you will put on. Is not life more than food, and the body more than clothing? 26 Look at the birds of the air, that they do not sow, nor reap nor gather into barns, and yet your heavenly Father feeds them. Are you not worth much more than they? 27 And who of you by being worried can add a single hour to his life? 28 And why are you worried about clothing? Observe how the lilies of the field grow; they do not toil nor do they spin, 29 yet I say to you that not even Solomon in all his glory clothed himself like one of these. 30 But if God so clothes the grass of the field, which is alive today and tomorrow is thrown into the furnace, will He not much more clothe you? You of little faith! 31 Do not worry then, saying, ‘What will we eat?’ or ‘What will we drink?’ or ‘What will we wear for clothing?’ 32 For the Gentiles eagerly seek all these things; for your heavenly Father knows that you need all these things. 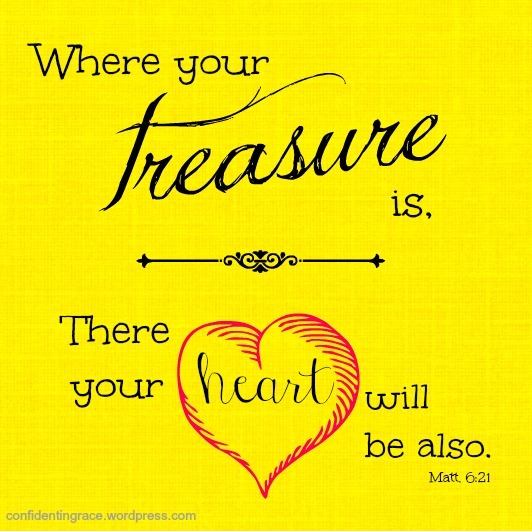 33 But seek first His kingdom and His righteousness, and all these things will be added to you. As a result of trusting in our own abilities rather than in the Lord, we quickly found ourselves in debilitating debt. It took 5 long years to dig out of the money pit we created. Since then, we have grown tremendously in our financial stewardship, mostly out of pure necessity. I praise the Lord for the work He has done in overhauling our money mindset! Today, being a stay-at-home mom of four, I contribute very little to our family finances, so making the most of what we have is not optional – it’s mandatory! 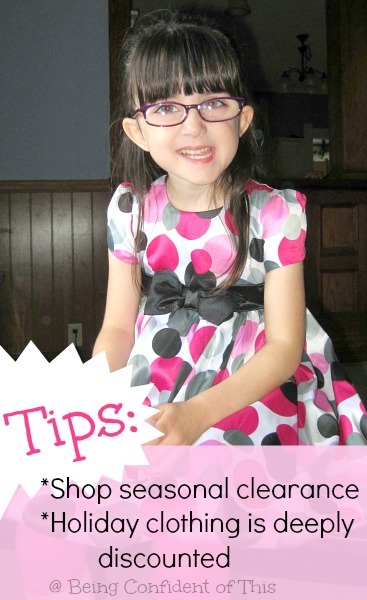 I hope you find these budget-stretching tips helpful! Top 5 Ways to stretch your budget. Budgeting for a family of six on one income. Start with a Budget! It seems obvious, but many people don’t have a detailed budget, or they have one that they don’t follow. (Of course, we always stick to ours….Ha!) If you don’t have one, make one. If you don’t know how, ask someone for help. If you aren’t sure where to start, visit Crown Financial Ministries for some helpful tools. Offerings – For us, giving a regular offering is non-negotiable. However, it was not always so! When first married, we were both still in college, so our income was very, very small, at times non-existent. So, we didn’t give consistently and usually what we did give was the leftovers at the end of the week. In time, however, we both became convicted that giving needed to be a priority. We started very small: only five dollars a week. But we gave faithfully, and little by little God helped us to increase it. And while we wondered where our food was going to come from, He continued to provide! I want to encourage you that even if you have so very little at the moment, you can still be obedient to the Lord in this area. Even if the amount seems too small to matter, remember that it’s not about the money, it’s about the heart. I’ve heard that “you can never out-give God.” Test Him! Savings – For our family, savings is also as non-negotiable as we can possibly make it. Of course, sometimes things come up –something major breaks on the minivan, someone becomes ill, etc. For us, savings is definitely still a work in progress, but the goal is to have savings built up for each one of those occurrences so that we don’t have to take money from our budget to meet those additional expenses. Cable TV/Internet – We realized early in our marriage that for us, the expense was a want, not a need, and we simply didn’t have room for it in our budget. So, for many years we used an antenna when we wanted visual entertainment, or a VCR. Today, we splurge on Netflix – $7.99 plus tax per month. 🙂 Additionally, Internet service is not really a need (unless you work from home), but we choose to splurge on it now that we have room in our budget. If you are struggling to meet your monthly budget, these are two expenses that can probably go. We receive all of the advantages of cell phone usage (even data plans) without being tied to a contract, and since our company pays to use larger companies’ towers (like Verizon and AT&T), we rarely lose signal! If a cell phone is a true need for you because of work, etc., consider changing to a less expensive company or plan. If you can’t change your cell phone to a lower-cost plan at this time, consider getting rid of your home phone altogether and save in that area, or consider downsizing to one shared cell phone. Clothing – This area is probably the one in which we stretch our budget the most. Growing up an MK, I wore whatever clothes were available, plain and simple. Brand name loyalty was not an option for our family back then, and it’s not an option for my family now! Don’t get me wrong – I love nice clothing, but buying new wardrobes for our children every year is not feasible for our budget. 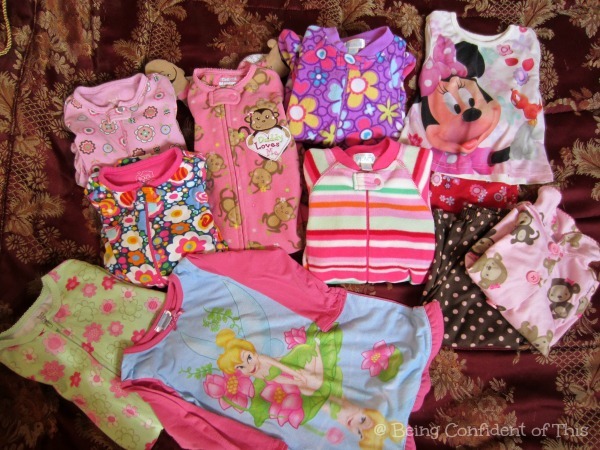 Clothing three children, one teen, and two adults can be a challenge, but we’ve found a variety of ways to save (check out 9 Ways to Save on Kids Clothes). 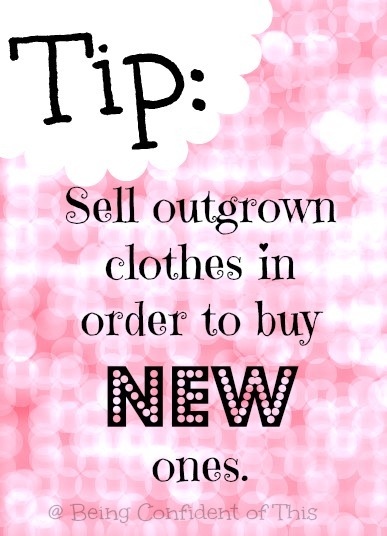 Clothing for adults is more challenging, but garage sales and thrift stores can still be useful. When we have a clothing need, I often take it to the Lord in prayer before I start shopping around. I can’t tell you how many times we’ve been blessed with bags of clothing from friends, church family, neighbors, and even a well-timed garage sale! Another way to keep grocery bills low is to create a menu and shop for only the items you need for that menu. This really works for our family. I also cook from scratch (or nearly from scratch) almost every night of the week, rather than buying pre-made meals or eating out, although we do splurge by eating out on occasion (dollar menu, anyone?). Please join me for the second half of 5 Ways to Stretch a Budget with more practical ways to save! Have a tip to share? Comment with your best money-saving advice! *This blog makes use of affiliate links. For more information, visit Being Confident of This ‘s About page.